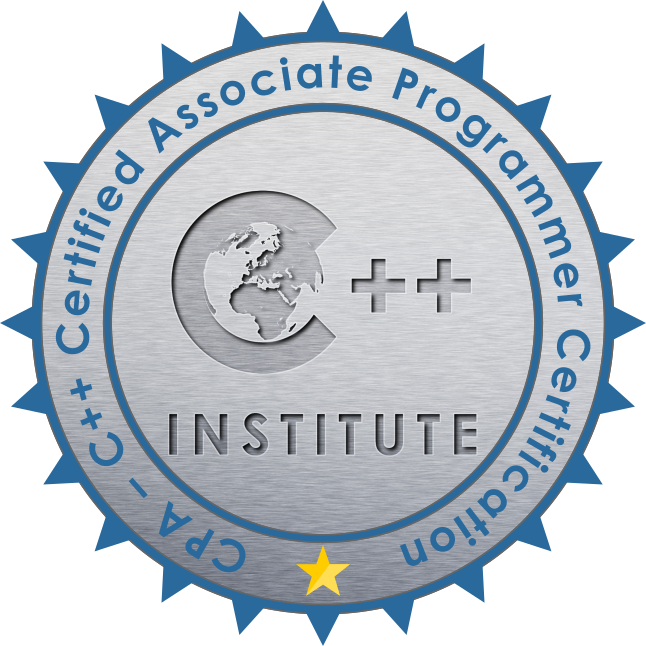 The growing demand for C and C++ programmers means you now need formal recognition for your programming skills and expertise. 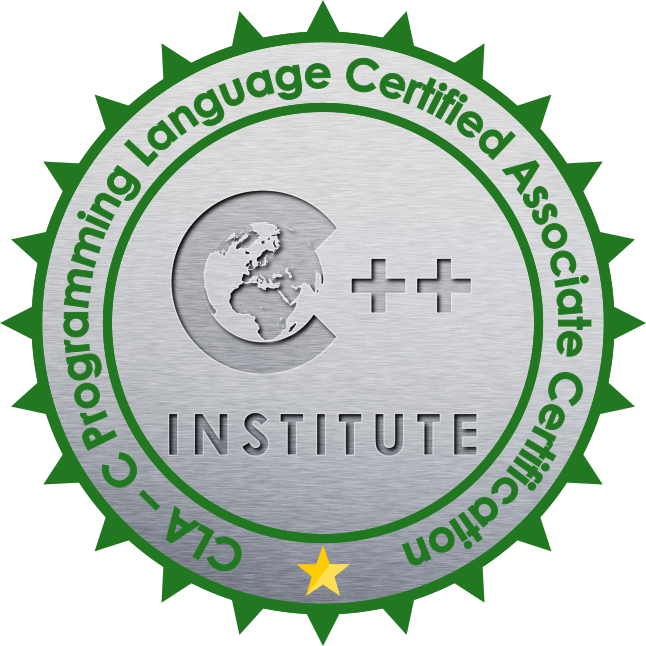 C++ Institute and Pearson VUE have undertaken to provide exclusive delivery of the certification program they have created for the C and C++ programming languages. Click on the exam logo to read about program details and exam objectives. 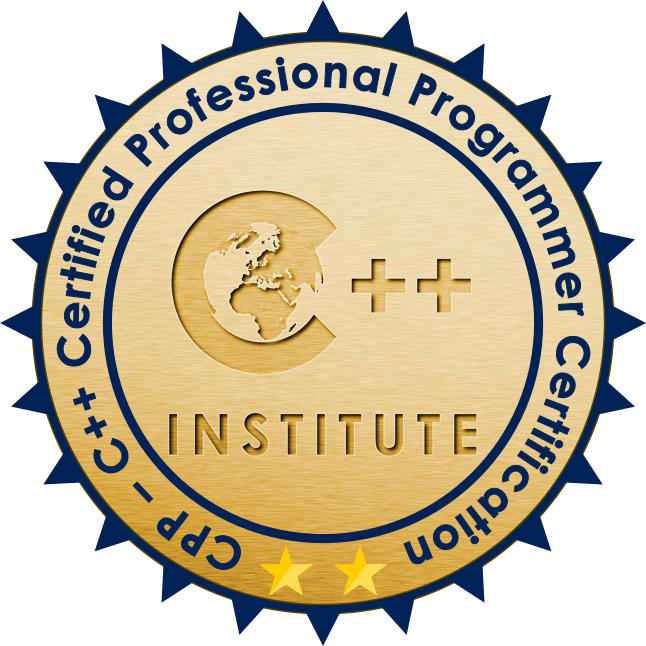 You will obtain your certificate in the C or C++ language issued by C++ Institute after you successfully pass a corresponding C or C++ exam in one of over 5,000 Pearson VUE Test Centers around the world. To gain a higher-level certification, the candidate must already hold a lower-level credential, i.e. a lower-level certification (associate) is a pre-requisite for a higher-level certification (professional). This means that if you wish to receive a CPP certificate, you must pass two exams: CPA and CPP. Similarly, if you wish to receive a CLP certificate, you must pass the CLA and CLP exams. 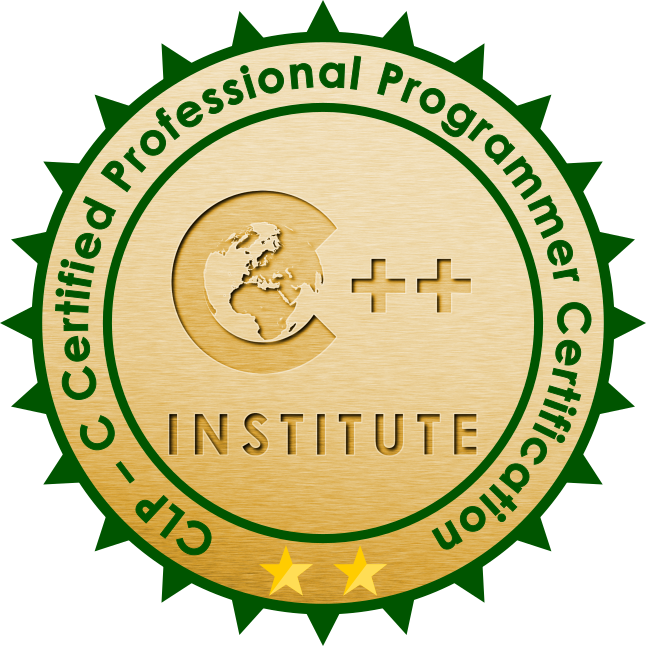 The C and C++ paths are independent of each other and each certificate is issued for a lifetime (there is no need to recertify/renew your certification after a given period of time). However, each exam has its version, indicated on the certification. Follow the path that suits you best.